Posted January 17, 2014 by roland valckenborg & filed under News, Tanzania. 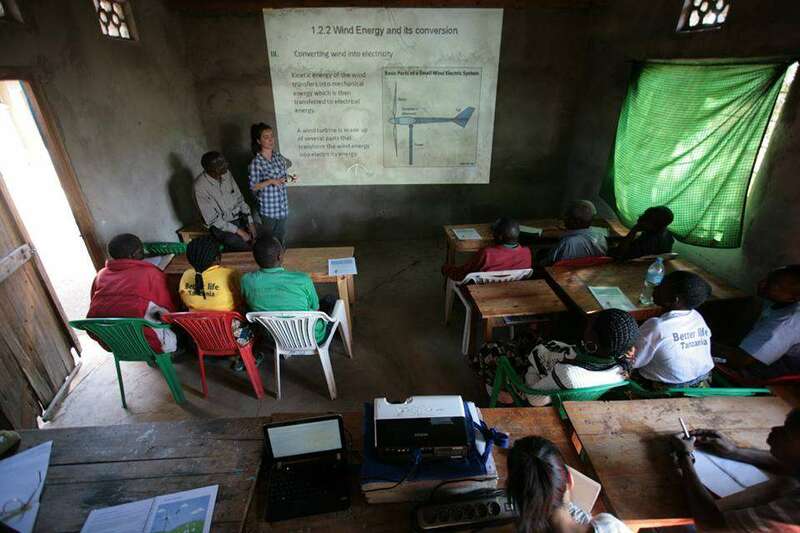 With great success, the first partner project between I Love Windpower Tanzania (ILWPT) and Engineers Without Borders (EWB) UK branch at the University of Warwick took place in September 2013 in the village of Kemgesi, Serengeti region, Tanzania. The new partnership (facilitated by James Low of Wind Empowerment) saw the two groups install a 1kW wind turbine to provide electricity for a girls boarding school at the Dr Omar Ali Secondary School. Too often the students have a very long way to walk to reach school and so a boarding school for the girls was provided. The wind turbine now provides lights and power for this building, allowing the girls to study at night and charge cell phones. 1. To install a 1kW (Hugh Piggott) wind turbine for a school with no access to electricity. 2. Develop and teach a new comprehensive training program to the community so they would have the skills to operate and maintain the turbine in the future. 3. Share skills and knowledge on wind turbine design, community development and other clean energy technologies. 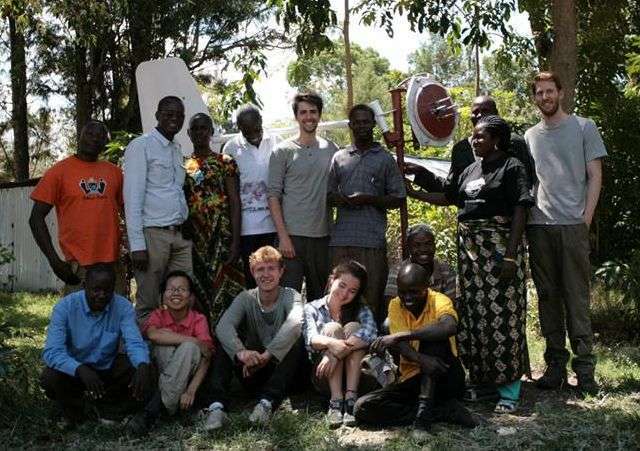 Before the project, the community created their own renewable energy cooperative (the first in Tanzania!) which was formed of eager community members in an effort to create jobs, provide an income (from clean energy) and take ownership of the wind turbine system on behalf of the school and community. 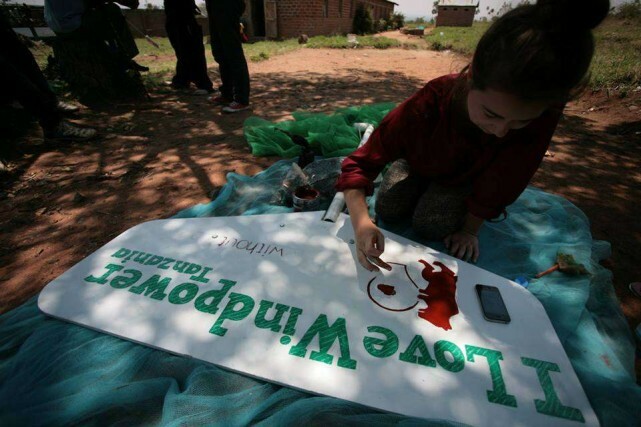 The Better Life Windpower Cooperative Society, led by Ruge, was the focus of the project. The four students who travelled to Tanzania joined Ruge and 6 other cooperative members to provide a 13 day wind turbine course. 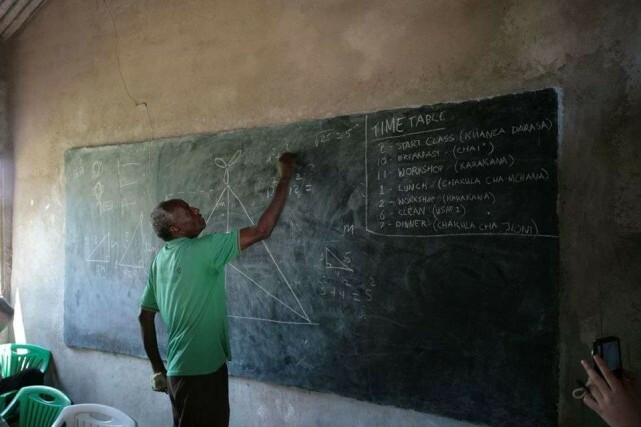 In the larger town of Mugumu (where there was some electricity access) the course included 8 days of theory classes in the morning and wind turbine construction in the afternoon, before the group travelled to the village of Kemgesi for 5 days to install the wind turbine. Throughout the project, the cooperative were taught about wind energy and the skills and knowledge required for them to take ownership once the students had left. The cooperative clearly showed they were up for the job. Having built the wind turbine, they found the installation straight forward and passed all the little tests the group created to see if the maintenance training had sunk in. Overcoming the language barrier the group had a lot of fun, sharing stories and even participating in the weekly football match with a rival village. The project was also a fantastic opportunity for the students to get involved in creating a community development project, build a wind turbine from scratch and under the wonderful guidance of the cooperative and ILWPT, experience Tanzania and the Serengeti region and the whole trip was topped off with an incredible safari in the Serengeti. A 5 year partnership has now been created between Warwick and ILWPT and 2014 will see a new group of students return to Kemgesi to install a wind/solar hybrid system for the school to use computers and internet. Also have a look at the photos, which give a good impression about the training and the life in Kemgesi.